Check out this RAM! A durable pickup truck with smooth gearshifts achieved thanks to the refined 6 cylinder EcoDiesel engine--and for added security, dynamic Stability Control supplements the drivetrain. We pride ourselves in the quality that we offer on all of our vehicles. Please don't hesitate to give us a call. Don't miss this great Ram! Performance, ride, and head-turning good looks! Top features include power windows, front fog lights, and a split folding rear seat. Smooth gearshifts are achieved thanks to the powerful 6 cylinder EcoDiesel engine, and for added security, dynamic Stability Control supplements the drivetrain. Four wheel drive allows you to go places you've only imagined. We have the vehicle you've been searching for at a price you can afford. Please don't hesitate to give us a call. You won't want to miss this excellent value! This is a superior vehicle at an affordable price! Top features include cruise control, variably intermittent wipers, and power windows. Under the hood you'll find a 3.0L V6 EcoDiesel engine with more than 350 horsepower, and for added security, dynamic Stability Control supplements the drivetrain. 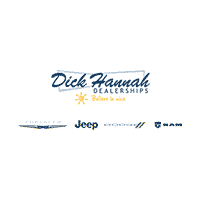 Our sales staff will help you find the vehicle that you've been searching for. We'd be happy to answer any questions that you may have. Call now to schedule a test drive.